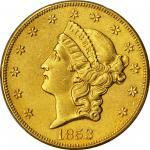 1859-O Liberty Head Double Eagle. Winter-2. AU-55 Details--Repaired, Cleaned (ICG). 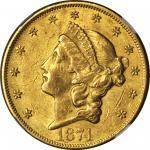 The year 1859 marked one of the low points in shipments of California bullion to New Orleans during the Gold Rush era, the Louisiana facility producing a mere 9,100 doubles eagles that year for a face value of just $182,000. The vast majority of these coins were claimed by domestic circulation in the Deep South and, predominantly, west of the Mississippi River. 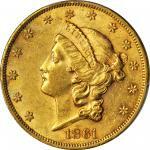 Rare in all grades, survivors number just 50 to 100 coins, the vast majority of which are in lower grades through EF. 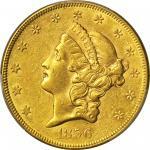 The 1859-O is actually the fourth rarest New Orleans Mint double eagle, ranking behind only the legendary 1854-O, 1856-O and 1855-O, and comparing favorably with the equally highly regarded 1879-O. 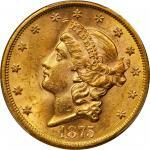 Virtually all known survivors are circulated, as here, the present example retaining uncommonly sharp detail to both sides and a pleasingly original reverse adorned in bright golden-yellow patina. For that side of the coin we also note ample remnants of a prooflike finish from the die.